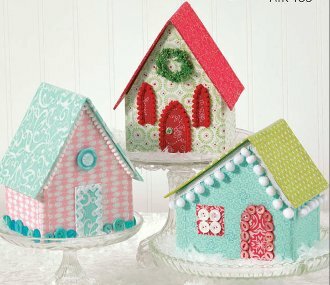 Make this no-sew village in your favorite holiday fabrics. Set the roof on top of each house for display. Village folds up for easy storage.